Students's last day of the 1st semester will be Thursday, December 20. Students will then begin a much deserved break. They will return for the beginning of the 2nd semester on Thursday, January 3, 2019. 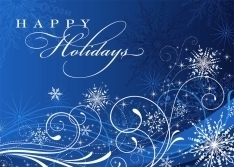 Tipton Community School Corporation would like to wish everyone a safe and wonderful holiday season.